If you are planning a long distance move, there are various important questions to ask any company before enlisting their services. Traveling hundreds of miles with your most prized possessions in tow will require a lot of trust, so you want to make sure the movers are efficient, professional, reputable, and skilled. When considering long distance movers for your relocation, remember to always ask these essential questions before booking your move. Probably the main question on your mind, cost is often a major deciding factor when booking a move. While you certainly want to find a good price and stay within your budget, automatically hiring the cheapest movers can often spell disaster. You want to ensure your moving company is not only affordable, but reliable. For a long distance move, moving companies will charge you based on the volume of your goods and the distance you are traveling. However, there are various other fees you may incur, depending on the services you require and the company's policy. When you are receiving your in-home estimate, it is imperative to inquire about the extra fees you may have to pay. Be sure to divulge any and all information about your move, your belongings and the layout of your home for the most accurate quote (for instance, don't neglect to inform your move about the old bedroom set in the attic you need disassembled). Stair carries. You may charged extra based on the amount of stairs in your home that the movers will have to lug boxes and furniture up and down. Long carries. If the distance from your front door to the moving truck exceeds a certain distance, you may be charged for a long carry. Packing services and/or materials. If you would like the movers to tackle the packing tasks for some or all of your goods, you will be charged extra. You also be charged additional fees for any packing supplies used in your move, including blankets and shrink wrap used to protect furniture. Furniture assembly/disassembly. Need help taking apart your entertainment center or setting up your kids' bunk beds in your new home? These services are often not included in a general moving quote. Storage. Will your goods arrive at your destination before you? You may need temporary storage to keep your shipment safe. Many moving companies have storage facilities available for an extra monthly charge. All interstate moving companies are required to be registered with a US DOT number so they can be regulated by the FMCSA. 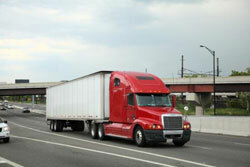 Before booking your move, ask the company for their number so that you can verify it on the FMCSA website. You can also check their profile to see if they have any outstanding complaints from dissatisfied customers and read their reviews. Any company that does not have a US DOT number could be a rogue mover and should not be trusted to avoid falling victim to a moving scam. Before choosing any company for hire, you want to ensure they are trustworthy and reputable. Asking the company representative about their experience handling moves can give you a better idea of their ability and reputation. How long have they been operating? Are they accredited by the Better Business Bureau? What is their rating? Can they provide you with references from satisfied customers? You should always back up any information you receive about the company's history with your own research--verify their BBB rating and profile, read online reviews, and verify their US DOT number on the FMCSA website. If you require any special services, such as packing/wrapping/disassembly of specialty items such as pianos, pool tables, grandfather clocks, artwork or antiques, be sure to ask about the company's experience with their handling and transport. There are three different types of estimates provided by moving companies--binding, non-binding, and binding not-to-exceed. A binding estimate is just that--cannot be changed even if your goods exceed the weight guessed by your movers. On the other hand, a non-binding estimate can be changed to reflect a higher or lower final price--but it cannot be raised more than 10 percent of the original quote. The most favorable estimate for the customer is a binding-not-to-exceed estimate. This type of estimate cannot be raised even if your shipment turns out to heavier than expected, but the movers can lower your final bill if your load winds up being lighter. How will my goods and home be protected? Everything you own will be traveling a long way to your new home. You are entrusting the safety of your most fragile and valuable belongings to your moving company, so it is important to ask what measures they will take to protect them. Ask about packing procedures, materials, and preventative methods taken to ensure the safe arrival of your goods. You should also ask about how the movers intend to protect your home. They will be in and out, lugging heavy furniture and boxes up and down stairs, through doorways, and across expensive carpeting and hardwood floors. Most moving companies lay down protective covering to shield your home from dirt and damage. Ask about these policies (and any possible associate charges). What type of insurance coverage is offered? If anything unfortunate does occur, it is a good idea to have your shipment insured. The standard liability coverage moving companies are legally required to offer is known as Replacement Value Protection. Under this minimal coverage, your movers are only responsible to reimburse you for lost or damaged goods at a rate of $0.60 per pound per article. This insurance is obviously inefficient for anything of even moderate value, and you should certainly ask about your additional options. Many moving companies will offer you what is known as Full Value Protection, which covers the full amount of replacing or repairing a broken or misplaced item. You may also have to purchase separate coverage for items considered to be of "extreme value". Be sure to inquire about all additional insurance options, the extent of the coverage, and the added cost before choosing any mover. In case of a personal emergency, you may have to cancel or postpone your move. Many moving companies will not charge you a fee to reschedule or cancel, but you should always ask before booking. It is also appropriate to give as much notice as possible, especially if you plan on arranging your move on a different date--the sooner you reschedule, the more easily the company can accommodate you. In the case of inclement weather, ask the movers about their weather policy. Even if you feel the weather is suitable for moving day, the movers may cancel if they believe safety will be compromised. Ask about what conditions will constitute a canceled move and the process for rescheduling. When traveling cross-country, the movers will not be driving your shipment nonstop to your destination. Yours good may make a number of stops, placed temporarily in a warehouse, or switched to different trucks. Additional delays can be caused by traffic jams, inclement weather, or mechanical trouble. Delivery can take weeks, and you may have to plan to be without your belongings for a while. However, movers can usually provide you with an expected delivery date so you can make any necessary arrangements. This date may fall within a two-week window, so specific guarantees should not be expected. Most reliable moving companies do not ask for a deposit when booking your move. This could be a red flag for a common moving scam--you are asked for a deposit and the movers never arrive. If you are using a broker to receive moving quotes, you should also be wary if a deposit is requested. At Movers.com, we will connect you up to seven moving from companies in your area, who will then provide you with FREE, no-obligation quotes! Simply fill out our fast and easy quote form to begin comparing today!